May I admit something to you all? When I am at my worst, I doubt who I am. I doubt I am good. I doubt I am valuable. Some days, I know, I don't look an iota like Jesus. I look in the mirror, but his image I do not see. Instead, I see the image of a woman who is flawed, faulted and failing. I can be hard on myself. It's easy, on these days, to turn to action plans, to-do lists or a get-better schemes. Oh, I know this inclination! But, more and more, I am convinced, I don't need a makeover or a new hairstyle. I don't need a flick on the wrist or a self-inflicted put down to get right, I simply need peace. Peace that affirms who God says I am, not what I am prone to believe I am. Created as beloved with Christ in me. When we know these things, our vision shifts, our hope emerges and our love flows more freely. Do you know who you are? 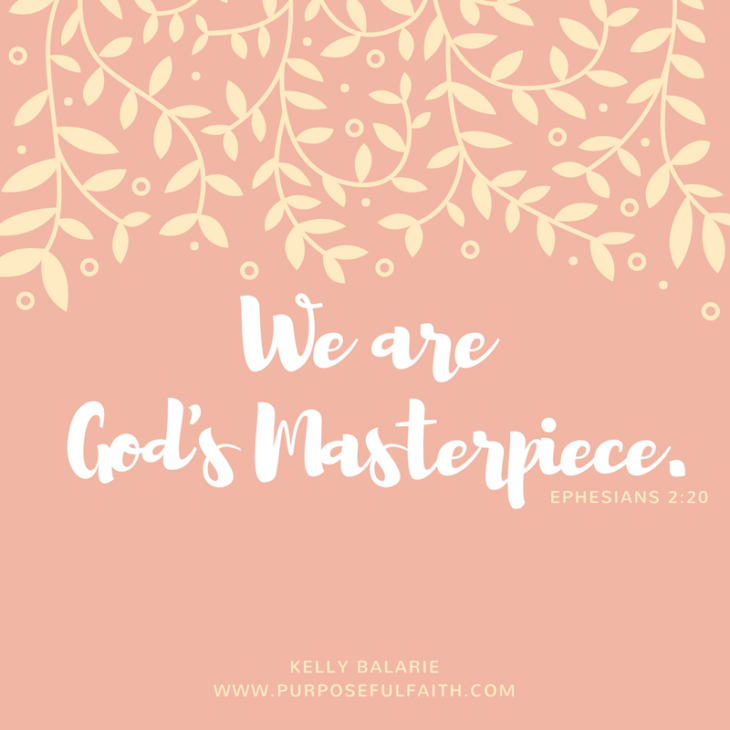 If you're at all like me, and you need a reminder, hopefully these verses - verses that speak of beauty, value and your beloved identity, will bring you to a new place, to a new vision of who you are created to be. Knowing who we are, somehow changes our face: It changes our face in the mirror. It softens our face as we face the world. It turns our face, unashamedly towards God. May we not forgo remembering who we are. For the fact of the matter is - we are more daughter than anything else. No other name given to us stands more permanent than that name. No other title we carry will surpass that one. No other calling is greater. We are chosen, valuable, beautiful and secure. We are in Christ. We are powerful in him and beautiful because He is. Now, go out in the world- and shine! Get all Purposeful Faith blog posts by email - click here.